Ok, I know- How can he be doing a “clips” post already? Well, first, it’s MONDAY. Second, I stayed up for the Grammy’s last Night. To sum it all up, I’m tired!! So I took my favorite line from each post thus far and, hopefully, linked to that original post. I’ll try harder tommorow, I promise!! I have no doubt that I will lose followers on the various social media sitesbecause of my position but I simply don’t care. One Million Moms in Bed with…?? I’m driving my GMC crew cab heavy duty pickup truck today in circles around the neighborhood just to increase my carbon footprint. Pro-Choice but Drive Safely? Ok- there ya go! Comment, share, etc. with the buttons below. Thanks for stopping by!! 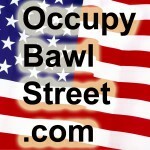 This entry was posted in Uncategorized and tagged occupy bawl street, culture, occupy wall street, NYC, wall street, pro-choice, abortion, catholic church, baby killer, early, first days, NYC homeless, 1%, 99%, commentary, blog, current, news, Newt, Newt Gingrich, key endorsement, endorsements, media, Occupy, Bawl, wall, Street, endorse, endorsement, NEWT will bring TESTOSTERONE back to UNCLE SAM, NEWT will bring TESTOSTERONE back to Lady Liberty, trump, romney, mitt, Occupiers, Government program, tranquilizing, tagging, song of the south, Disney, dvd, obama, one million moms, donald wildmon, barack obama, superpac, super-pac, linked, post, Obama buys 1.75 Million Votes, American Family Association, Disney source, controversial film, Release, Reporter embedded, relocating, Parallel, Nazi Party, 2013 season of celebrity apprentice, Celebrity Apprentice 2013, Liberal Democrats, suckle, Lady Liberty’s, Self Sufficiency, UNCLE SAM, TESTOSTERONE, Lady Liberty, OBS, endorses, carbon footprint, Drive Safely, tired rhetoric, hungry, homeless, Morons, pinko commie, Occupiers are Morons, Comment, share by obs. Bookmark the permalink.